California offers a tax break to taxpayers who put in to a traditional IRA. 3. What Does SDI Stand for on W2 Tax Forms? Traditional individual retirement accounts, or IRAs, make it possible for you and your spouse to put away money for your retirement. Your contributions are tax deferred, meaning you will not have to pay taxes on the money until after you retire. Not only will you get a federal deduction for contributing to an IRA, California also offers a tax break. The state follows the Internal Revenue Service guidelines by taxing only your adjusted gross income. Because the IRA deduction is an adjustment, you will get the same amount for your California return as you did for your federal return. Obtain a copy of your federal tax return. If you are filing a 2012 California return, you will need your 2012 federal return. Because California uses a majority of your information from your federal return, you must have your 2012 federal return completed before you fill out your California return. Download a copy of Form 540 and Schedule CA (540) from the state of California Franchise Tax Board website. Refer to your federal return and locate the amount from the line labeled "IRA Deduction." As of 2012, this number is listed in Line 32 on Form 1040 (Reference 1) or Line 17 of Form 1040A. Transfer the amount of your IRA deduction to the line labeled "IRA Deduction" on Schedule CA (540), which is Line 32 as of 2012. Transfer the remaining amounts from your federal tax return to Section A and B on Schedule CA (540) and make any required adjustments. If you are unsure how to complete the form, refer to the Schedule CA (540) instructions. Complete Sections A and B on Schedule CA (540). 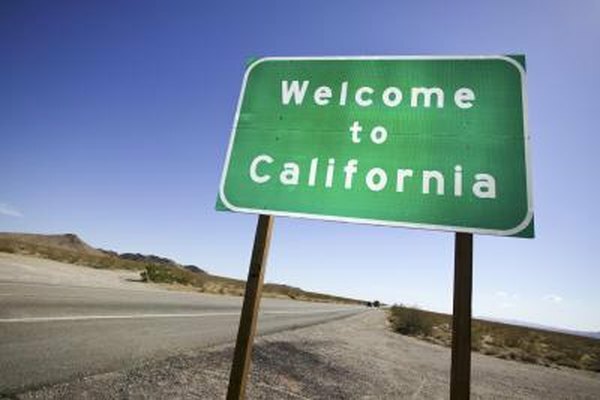 If you had any subtractions to your California income, transfer the subtractions from Column B to the line labeled "California Adjustments -- Subtractions" on Form 540, which is Line 14 as of 2012. If you had any additions, transfer Column C to the line labeled "California Adjustments -- Additions," which is line 16 as of 2012. Complete Form 540 to determine whether you owe taxes or will receive a refund. Attach Schedule CA (540) to Form 540 and mail your return to the address listed on the form's instructions. Because Form 540 requests your federal adjusted gross income, you do not have to include your IRA deduction on the form. Your adjusted gross income already includes the deduction, and Column A on Schedule CA (540) outlines your federal adjustments. As of 2012, the most you and your spouse can deduct is $10,000 if you are under 50 or $12,000 if you are 50 or over. Internal Revenue Service: Publication 590 -- How Much Can You Deduct?